Different types of jigsaws available. Upload your photo, add text. Standard or express delivery available. Make a personalised picture jigsaw puzzle, select one of the categories below and jigsaw puzzle size! 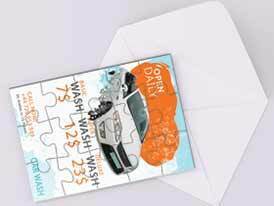 High-quality personalized jigsaws are printed with ECO-friendly printers and are mounted to a robust, specially made puzzle card. The pieces are crisp and cut clean, we cut the cardboard with customized cutting die into puzzle pieces. Having all the required tools to make the personalized puzzles ourselves and having a partnership with DHL and UPS we will make sure that you get your jigsaw photo puzzle as soon as possible after you have placed your order. You can crop, resize, drag your photo any way you want and you can also add text onto the uploaded photo with our built-in online photo editor and you can also see a clear preview of how your puzzle will be. PuzzlesPrint can make you your own personalised jigsaw puzzle! 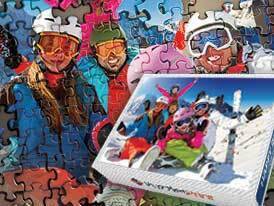 Take your own picture, and turn it in to an attractive, impressive picture jigsaw puzzle. 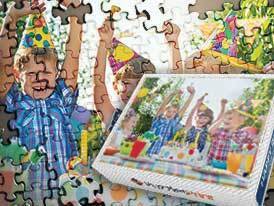 PuzzlesPrint can supply jigsaw puzzles with as few as 15 pieces. If jigsaw puzzles are your thing, or you have friends or family who enjoy them, then why not opt for our 1000 piece personalised jigsaw puzzle? Or even a massive 2000 piece jigsaw puzzle? Here on the PuzzlesPrint website we have made many types of puzzles available. You will find plastic photo jigsaw puzzles, wooden photo jigsaw puzzles, promotional jigsaw puzzles, photo frame jigsaw puzzles and photo collage jigsaw puzzles. Photo puzzles make excellent personalised presents to commemorate any occasion! Here at PuzzlesPrint we can take any image, and turn it in to a personalised jigsaw. 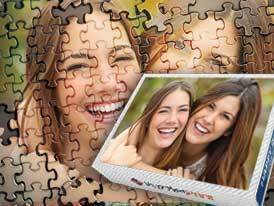 Plastic photo jigsaw puzzles, wooden photo jigsaw puzzles, promotional jigsaw puzzles, photo frame jigsaw puzzles, photo collage jigsaw puzzles, magnetic jigsaw puzzles and personalised jigsaw puzzles can be delivered across Australia. We offer both standard and express deliveries on all orders. Are you looking for a special gift? Our custom jigsaw puzzles are perfect. A personalised jigsaw puzzle makes an excellent gift to commemorate events such as birthdays, retirement or Valentine’s day. We are sure that your family and friends will love receiving a customised gift in the form of a photo puzzle. For something a little different, try one of our magnetic puzzles. Or maybe one of our cool photo collage puzzles, created from a selection of images you supply? Once you have solved the puzzle, you can always frame it, and hang it on the wall. If you are the kind of person who enjoys a good jigsaw puzzle, then you are really going to appreciate the custom jigsaw puzzles we make. Solving a jigsaw puzzle that is made from your own choice of picture, is far more enjoyable than one with a generic image. This is a major difference with the jigsaw puzzles we make. Every one of them is made from a beloved photo, sent to us by the customer. This is much better than a boring old jigsaw puzzle you can buy at the store. If you want something a little more special, why not check out our photo collage puzzles? All you need to do, is decide on a template for your photo collage puzzle, and then upload up to seven separate photos or images. Then decide what size of jigsaw you want, and we will do the rest, we will send you a custom collage jigsaw puzzle! 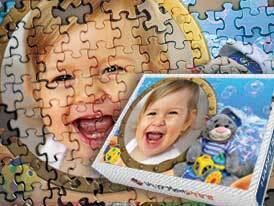 Another exciting option, is a photo frame jigsaw puzzle. We can provide a range of different frames, so that you can match the frame to the photo puzzle. 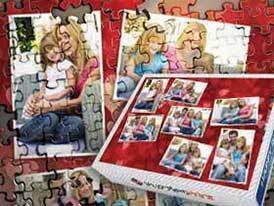 We can make eight different sizes of photo puzzles. So you should be able to choose a frame that suits your picture the most. A photo frame puzzle is a great commemorative gift for events such as weddings and birthdays, or any other special event! Personalised jigsaw puzzles make great promotional gifts. Check out the products in our promotional gift section. You will discover how you can use these as promotional business gifts to impress your customers and trading partners. They also make great invitations for birthday parties or weddings. 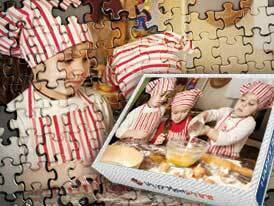 When we make a promotional jigsaw puzzle, we can make out of plastic or with a magnetic surface if you require it. Looking for a different type of personalised jigsaw puzzle? If you are, then take a look over our range of wooden jigsaw puzzles. We can make two different sizes of these, and we can make them with six different piece counts. Of our six wooden puzzles, three of them can have a message that has been cut out of the puzzle. This message could be Merry Christmas, Happy Birthday or I love you! These wooden jigsaw puzzles make awesome gifts for your friends and family. A wooden jigsaw puzzle is a premium product, made from top rate materials, something to treasure. Do you have young children? Do you need a puzzle that is hard wearing so that your children can play with it for hour after hour? Or perhaps you need a more durable puzzle for use at a fair, where it will be handled by many people? If this situation describes your own, then we have just the product for you. 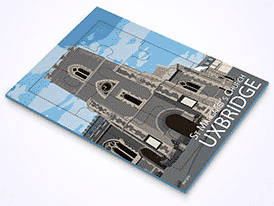 We can supply you with a personalised plastic jigsaw puzzle. These are exactly the same as our normal cardboard jigsaw puzzles, but we make them from plastic. We provide them with six different piece counts. Personalised photo puzzles can be ordered and will be delivered to all New Zealand locations, including: Auckland, Wellington, Christchurch, Hamilton, Napier-Hastings, Tauranga, Dunedin, Palmerston North, Nelson, Rotorua, New Plymouth, Whangarei, Invercargill, Whanganui (Wanganui), Gisborne.